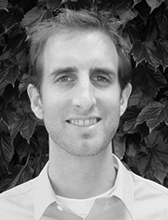 Brian Phillips is an assistant professor of international studies at the Center for Research and Teaching in Economics (CIDE) in Mexico City. His research focuses principally on organizational dynamics of terrorism, such as alliances and rivalries between terrorist groups. Dr. Phillips has also published work on organized crime, civil war, and lone wolf terror. He is currently working on a START-funded project to evaluate how economic sanctions like the U.S. Foreign Terrorist Organization list affect terrorist groups. His articles appear in Journal of Politics, International Studies Quarterly, Journal of Conflict Resolution, Journal of Peace Research, Terrorism and Political Violence, and other journals. His research has been discussed in the Washington Post, Associated Press articles, the Huffington Post, and other outlets.